Infernal Reckoning ($0.21) Price History from major stores - Core Set 2019 - MTGPrice.com Values for Ebay, Amazon and hobby stores! 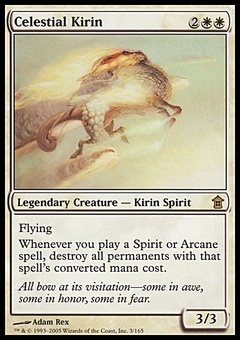 Card Text: Exile target colorless creature. You gain life equal to its power. 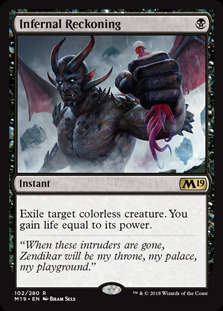 Flavor Text: "When these intruders are gone, Zendikar will be my throne, my palace, my playground."